“I am unsure about getting Dental work in Mexico” Dental work in Mexico is the same as in the United States & Canada. We use the same materials, the same brands (Mexico does not produce any dental materials) and our lab serves dentists also in the United States & Canada. Getting dental work done in Mexico can be very easy. Just follow the instructions in the video on your left and you will see how easy it is to get here. We also encourage you to check our video testimonials and see for yourself what is the “American perspective” of our work. Click here to view our video testimonials. How many days are needed to set a Crown? During the laboratory process, do I have some protection for my ground down teeth? We will set temporary teeth until the new ones are ready. How do I know that the color I choose is going be the same color once the job is finished? Because the laboratory and the dental office work together and use the same brand and colorimeter, that’s why it always is going to be the same color. Can you give me a prescription for pain killers with morphine? In México all medication with morphine is controlled and restricted. We can’t prescribe morphine and stronger pain killers like that. Where can I buy the medicines? Here in the same mall where we are located there’s a drugstore that has everything we prescribe. Which medications do you prescribe? We prescribe, antibiotics, anti-inflamatories, and pain killers. It all depends on the treatment and what the patient needs. Are the medicines included in the estimate? No, they are not included, you most buy them separately. Will I have to go every day to the dental office? No, the amount of times you will have to come in will depend on your treatment. While our laboratory works, you can enjoy your vacations in Cancun. If your treatment is without sedation, you can eat. If your treatment requires sedation you mustn’t have eaten anything for the previous 8 hours. Is the dental office clean and sterilized? Of course it is, the dental office is always clean and also the instruments that we use for the treatments all are sterilized. Do I have to bring my own medicines? Here we give you a prescription for all the medicines that you will need. If I am already taking medications, can I also take the ones for my dental treatment? Every case is different, so we need to know which medicines you take so we can prescribe only the ones you really need. Is the sedation with general anesthesia? No. We don’t do general anesthesia. With sedation you will be in a state where your body will be relaxed allowing us to work, and you will not remember anything by the end of the procedure. More than 20 and he is a member of the American Academy of Implant Dentistry. Do you use instruments made in Mexico? No all our instruments are imported, and of the finest quality. If I have an emergency, where can I call? Before you leave, we will give you all the numbers that you can call at any time. We have a local number (998)1405125, if you are in USA or Canada call 1800-565-1424. Yes, we do it all the time. We work on your treatment at a fast pace, and we have a Lab on-site, so your work gets priority and that way we can be certain that it will be finished with as little visits as possible. Most of our patients finish in less than 1 week, but if your case is complicated we will let you know how many days we need you here before you plan your trip. Yes, you can. Please click here and request a callback and we will call you and even and put the doctor on the phone with you. Please include your area code and the best time for you to be reached. You will be put in touch with him as soon as possible. Yes, we do! Click here for more information. Cancun is the safest place in Mexico, please read more here. You can come with your whole family, on a Honeymoon, alone, with friends, etc. Cancun has the BEST facilities for every type of budget. You can stay in the Hotel Zone, downtown Cancun or you can even stay in Tulum, Playa Del Carmen or somewhere else on the Riviera Maya! Everything is within close distance here. 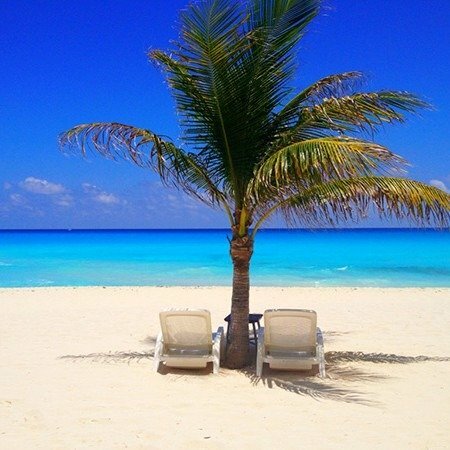 Cancun is one of the Top touristic destinations worldwide and you can always get a great deal! Every year we receive almost 8 million visitors from the United States, Canada and Europe! Cancun is just gorgeous! There are many things to do in Cancun! Click here to learn more! We are located in Las Americas Shopping Mall, 1 mile away from the beginning of Cancun’s Hotel Zone, we are INSIDE the mall, at store 215. Plaza Las Americas is just 4 minutes away from the beginning of the Hotel Zone, better known as Kukulcan Blvrd. It is really easy to get here since it is the biggest shopping mall in Cancun. Bus or taxi will do. Credit Card (Visa/Mastercard/American Express). Cash or money transfers to our Mexican Bank account. We do not accept personal nor Traveler checks. Yes they do, all our staff speaks English, you will have no trouble communicating while we explain to you all about your dental work in Mexico. For many reasons. Facilities cost less (such as rents or real estate), taxes are lower and everything is just cheaper in Mexico! We have been offering dental work in Mexico for over 15 years. We are the most reliable and respected dental clinic in Cancun Mexico. We must! In Mexico the government checks every establishment dedicated to health issues and if you do not cover all hygienic needs or have all your credentials in order, they close down the business. Yes. We start working on your mouth on your very first visit to the clinic. We do accept Walk-Ins, but making an appointment will guarantee you get taken care of. Please click here to make an appointment now. Yes, we do. Every month we receive over 30 patients coming from the United States, Canada and the United Kingdom. Most are people who are searching for dental work in Mexico. No, he has a team of 13 dentists in the clinic and his personal team is composed of 4 dental specialists in areas of Endodontics, Cosmetic Dentistry and General Dentistry. To set up an appointment to get your dental work in Mexico at Cancun Cosmetic Dentistry, click here. What we do, and what we don’t do. We do provide complimentary transportation for your first trip to the clinic (if you stay inside Cancun’s Hotel Zone or Cancun Downtown). If you require a transfer service from the airport to your hotel there are several agencies available like Cancun Airport Transportations. We do not offer a pickup service from the Riviera Maya Hotels, Playa Del Carmen or Puerto Morelos. We provide prescriptions for any necessary medications you might need. We do not accept Traveler Checks or Personal Checks. We do accept cash, or money transfers to our Mexican bank. We also accept American Express, Visa or MasterCard. We do offer advice and information for your insurance claims. We do not fill out your insurance forms on your behalf (you send the forms and we will print them, the doctor will sign them and then we will send them back, we will also send any info on your treatment or X-Rays). Also, we cannot help you make false claims or alter our prices. We do offer professional service and care which at times require periods of waiting in our waiting room. We cannot rush our work, correctly, not quickly is how we produce quality dental pieces. We do guarantee our work and treatments, and we do offer helpful guidelines and care instructions. We do not re work treatments if the doctor’s instructions are not followed. We do give discounts when paying in cash. We do not accept other promotions or offers when giving this discount. Also, the discount is ONLY provided by the doctor directly and when paying the COMPLETE treatment in cash. We do give respectful and courteous service from doctors and our support staff. We do not work on drunk or intoxicated patients, arriving to the clinic in these conditions will automatically void any contract and forfeit payments made.